American brand Emerson have been creating quality ceiling fans for over a century. 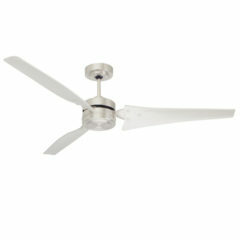 Emerson pride themselves on being leaders in the ceiling fan industry for quality, reliability, performance and style. Create an industrial look in a residential setting with the Loft ceiling fan. Specifically offered for residential applications, the Loft's air-foil blades allow for efficient air movement making it a stylish and efficient cooling solution. 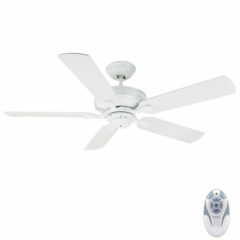 This fan is not light adaptable and is operated via the included three speed wall control. 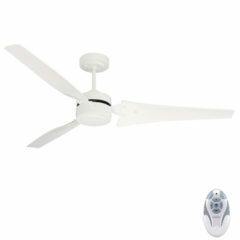 We also have the Loft ceiling fan pre-packaged with a remote control, please see alternative listings. The Verandah ceiling fan is suitable for both indoor and outdoor installations. This package comes with a remote control for ease of operation. 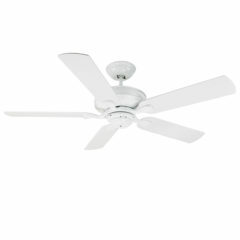 The Verandah is an Emerson fan which offers a superior performance combined with a classic design. It features a quiet operation and is remote adaptable (see alternative listing for fan and remote package). Create an industrial look in a residential setting with the Loft ceiling fan. Specifically offered for residential applications, the Loft's air-foil blades allow for efficient air movement making it a stylish and efficient cooling solution. 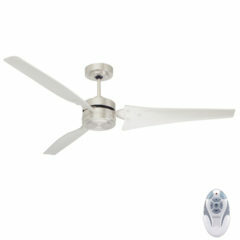 This fan is not light adaptable and is operated via the included remote control. For the options with a wall control please see alternative listings. The Verandah ceiling fans is suitable for both indoor and outdoor installations. 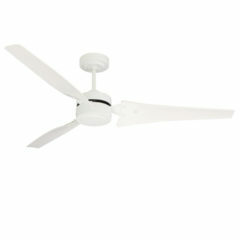 The Verandah is an Emerson fan which offers a superior performance combined with a classic design. It features a quiet operation and is remote adaptable (see alternative listing for fan and remote package). It will hold up quite well in coastal locations with its rust-resistant finish, however with time it may show signs of succumbing to these elements.